The one I was most excited to try out was the PeriPera tint. 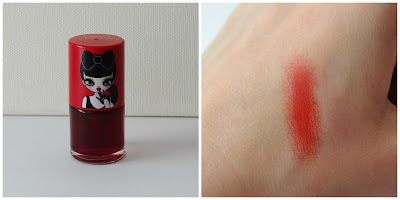 I'd been lusting after this particular tint for absolutely ages: the packaging is amazing and I'd always heard really good things about it. Unfortunately, this one was a huge disappointment. It stains yoir lips really unevenly, and because of the watery consistency it gets into your mouth and stains your teeth too. It is so messy to use, I don't think I'll be using this one on my lips ever again. It doubles up as a blush too, but it dries too fast, making blending really difficult. I 100% would not recommend this tint to anyone. 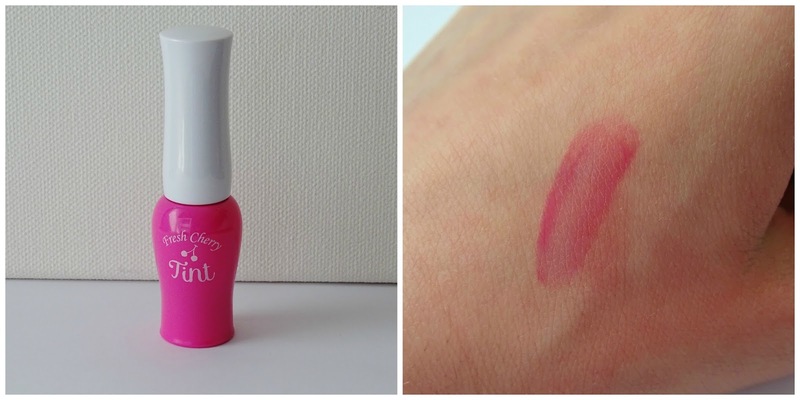 I had tried a sample of the Etude House Fresh Cherry Tint a year ago and absolutely loved it. 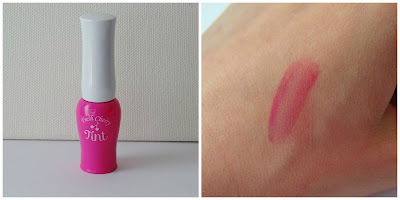 It goes on a super sheer baby pink but turns into a brighter pink when it has dried. 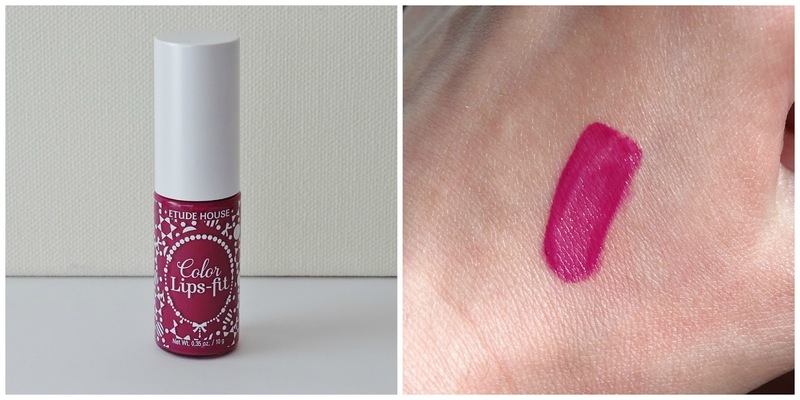 The application is really smooth and the tint lasts ages. 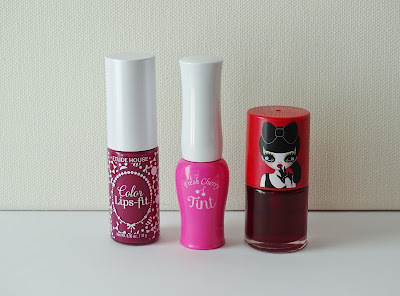 The final tint I got was the Etude House Color Lips Fit. I feel like this one is more of a liquid lipstick than a lip tint, it goes on like a lip gloss but dries completely matte. After around 3 hours of wearing this, it does start to feel the tiniest bit dry, but not to the point that it is uncomfortable to wear. I wore this on a day out with a friend and it stayed on through cinema snacks and ice-cream. I had applied it at around 12pm that day and by 7pm it was still going strong, there was a just a little bit faded around the inner part of my mouth. I scrubbed it off at 7 pm with a Lush lip scrub, and noticed that while the main colour of the product was gone, it did leave a really pretty stain.